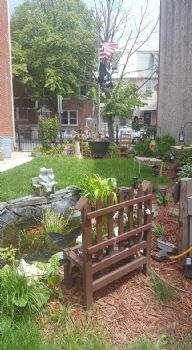 Thanks for sharing a lovely picture of your yard---love the bench. Welcome to the team. Come join in with us on the Chat---we change the title each month. Welcome to SP, Carol and to this team. Your place looks so beautiful!! Enjoy this team. Everyone's so wonderful! "Little by little whittling my middle!" Hi, I'm Carol and new to Spark People! I have a love of gardening. 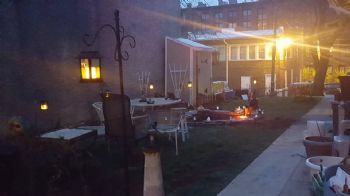 I live in an urban setting (Downtown Allentown Pennsylvania) but have a wonderful yard and a wonderful man that makes my urban life easy.